FPRA’s Annual Conference is the Association’s largest and most anticipated event of the year. The state-wide conference features nationally recognized speakers, numerous networking opportunities and peer recognition through the Association’s premier awards program. Network with FPRA members throughout the state, and hear from major industry and thought leaders who will provide the inspiration, motivation and affirmation needed to help rocket your PR efforts to new heights. The 2017 Annual Conference was held in Orlando, and we were honored to have members recognized for earning their APR, winning the highest honors at Golden Image, and our very own Marilyn Waters, APR, CPRC, was honored as the 2017 Doris Fleischman Award recipient. FPRA’s 80th Annual Conference is in Jacksonville this year from August 5-8, 2018. Learn More! Why Attend FPRA Annual Conference? 1. Learn from some of the best in the public relations profession. Every year, the FPRA Annual Conference features speakers who are industry leaders. 2. Network with your professional peers and gain direct access to some of the top PR influencers in Florida. 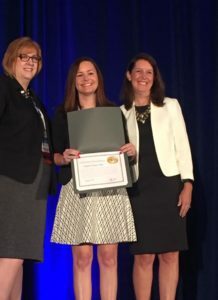 The FPRA Annual Conference attracts hundreds of PR practitioners from around the state, and this year the country, to engage in four days of professional development. 3. 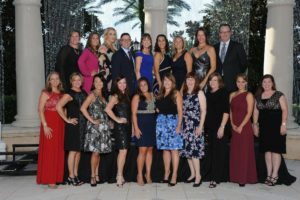 A conference highlight is FPRA’s Golden Image Awards. For more than 50 years, PR professionals have been honored for setting the standard in public relations excellence. 4. There is no better way to get motivated and excited about your next big project than to break away from your daily routine and spend some time at a beautiful resort – at an affordable price – where you learn about new PR tools and tactics while connecting with other professionals in your field who are focused and dedicated to their PR profession. 5. One of the most valuable treasures conference attendees come home with is information in the form of books from many of our speakers, presentations and access to resources. 6. Get credentialed! Every year, we offer breakout sessions to help qualified candidates successfully prepare to sit for the APR and CPRC exams. 7. Celebrate accomplishments! Join your professional peers at FPRA’s Past Presidents’ Luncheon for the time-honored tradition of recognizing chapter and individual accomplishments as well as welcoming new chapter and state leaders.